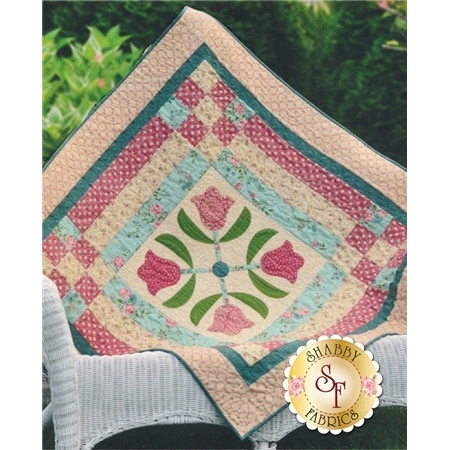 Decorate your table with this applique table topper designed exclusively by Shabby Fabrics. Tulip Topper brings a soft and elegant feel to your home and finishes at 47 1/2" x 47 1/2". 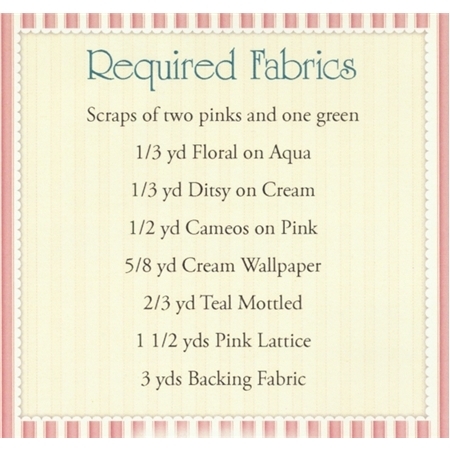 This table topper was made with Rambling Rose yardage by Moda Fabrics.